The Photron SAX2 is one of the workhorses of the Slowmo range. It covers almost all ballistic and science based applications. 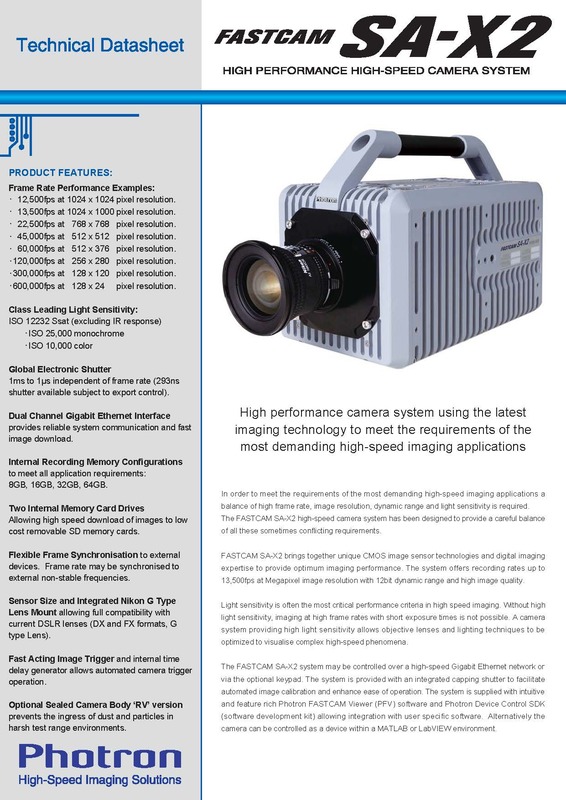 It is one of the most light sensitive high speed cameras (ISO 25000) in the world, and regularly records at ultra-high (~100,000 fps) frame rates. One of its main uses is ballistic velocity measurement. It has the extended 32 GB on board memory allowing for longer capture times, much needed when recording at high resolutions at high frame rates. 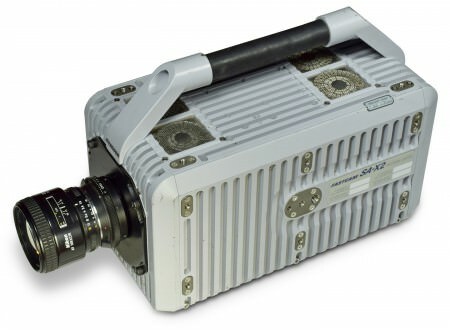 Its frame rate/resolution specification is the same as the colour SA-X2, for example 22500fps @ 1024 x 600, 45000fps @ 512 x 512. Such was the uptake with the SAX2 mono camera when first purchased, in both industrial and ballistic applications, Slowmo invested in a 2nd unit. As a pair, they make the ideal solution for multi-camera indoor/outdoor ballistic applications and for 3D dynamic motion analysis. Dual slope shutter (this increases the useful dynamic range in scenes where detail in bright areas are preserved at the same time as maintaining details in darker regions). Especially useful when there is a high contrast, for example when recording explosions. Sensor is Infra-Red (IR) sensitive allowing the use of IR lights in light restrictive areas. Spectral Filtering – the use of special filters to either select or eliminate information from an image based on the wavelength of the information. The SA-X2 comes with Nikon (F and G), PL and C lens mounts. Fully automatic Nikon lenses can be used with G Nikon mount. Two SD card slots allow for the download of recorded image data from the camera without the need for a PC connection. A hardware image trigger function allows automatic triggering from a change in the image. Dual slope shutter is a mode that records both the high brightness portion and low brightness portion in one image by adjusting the light exposure internally in the sensor. By using this function, detail in the bright areas are preserved at the same time as maintaining detail in darker regions. 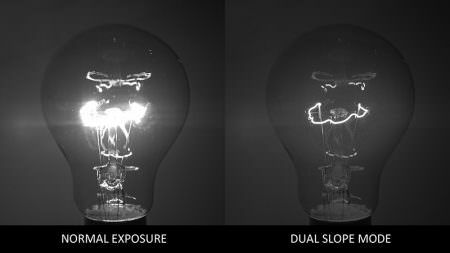 The bulb image on the right has been captured with dual slope shutter. Observe the detail of the filaments, which are blown out in the image on the left. Other examples for use include explosions, muzzle flashes and metallic reflections.